And that is exactly what this innovative tilting seat shell base does. 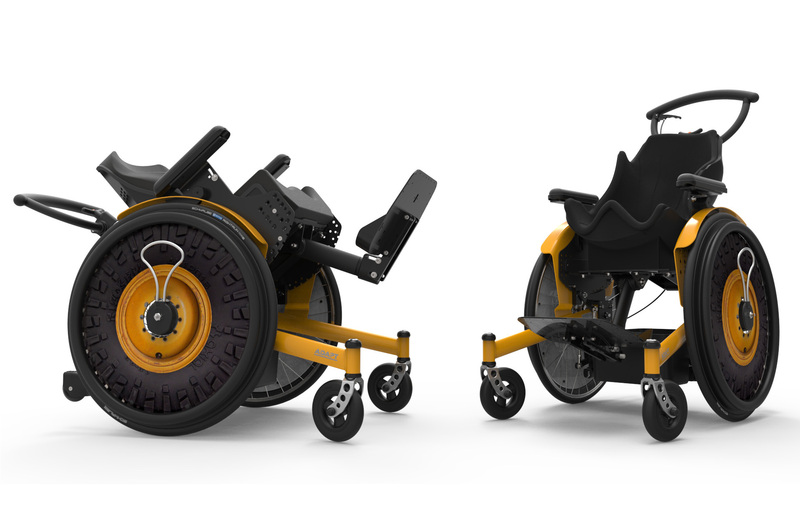 The ideal combination of wheelchair chassis and seat shell. Optimally adjustable so that self-driving, pushing and the installation of almost every seat shell has become a breeze. 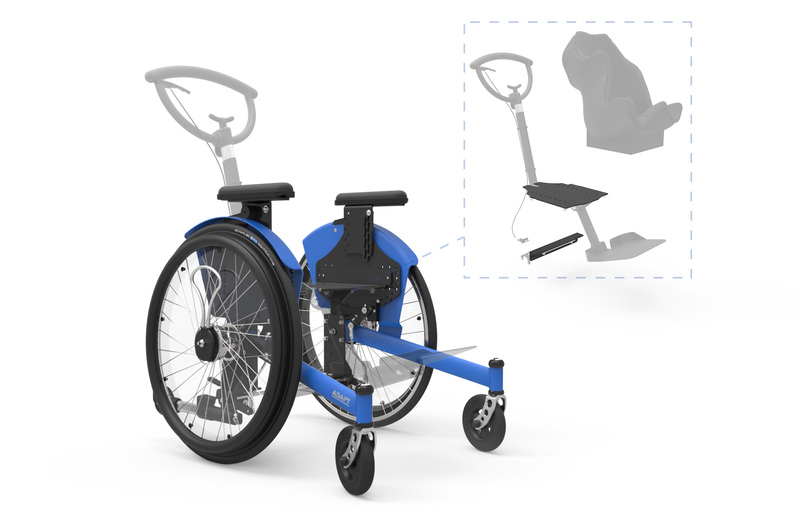 Whether it is a sitting orthosis or seating shell system from third parties, the Adapt is the ideal adaptable base (wheelchair)! As one of the few on the market extremely suitable for users who themselves also hoops. The combination is light driving and for the attendant very easy to push and light to manouvre. Due to the open character, streamlined design, the Adapt has become a very robust, modern and contemporary chair. Individuality, create your own Adapt to your own feelings and choose the color that suits you! Because everyone is unique. 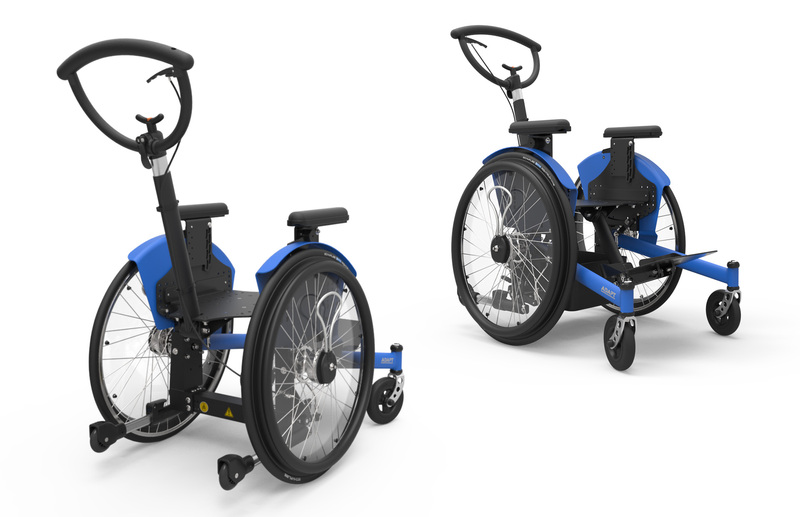 The Adapt is tested and approved in accordance with the European standard: NEN-EN 12183 and for safe transport in motorised vehicles in accordance with ISO 7176-19 - crashtest-safe (TÜV Rheinland). Tilt function (-5 to 45 degrees) for alternate posture, very easy to operate with foot or manual operation. Many accessory options due to open base frame and special adapters. Drum brakes for the user easy to operate and (optional) to perform with our unique combi-drum brake system (supervisor / user). Robust push handle adjustable in height and angle for the most ergonomic push position for the attendant. Rigid aluminium frame, 3 sizes (each frame growable 10cm). Adapt - Images - First impression! 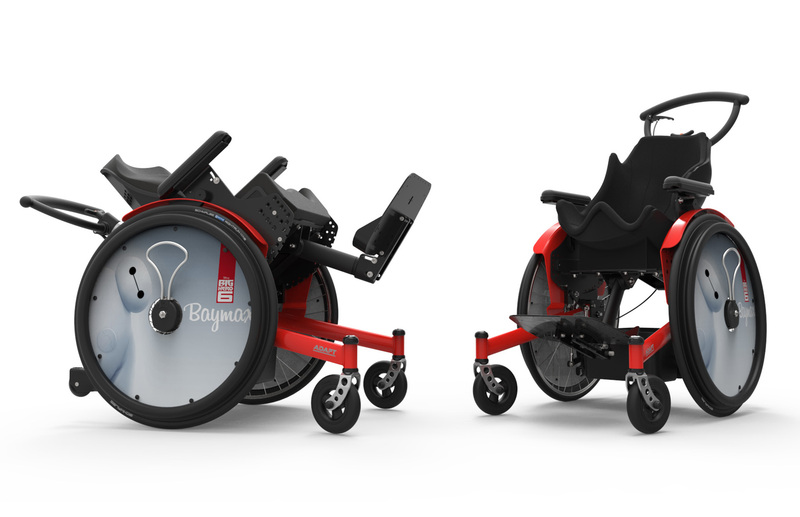 The Adapt is available in 3 sizes (built-in widths). 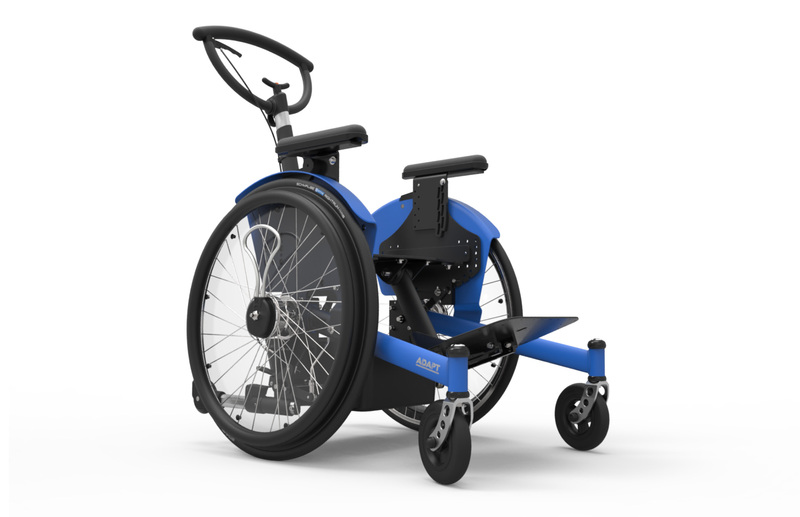 The desired installation depth and installation height also determines the wheel size to be chosen (20", 22", 24" or 26").The frame is constructed in such a way that it is easy to widen and makes it suitable for a longer period of time, even when changing the orthosis. A tilt function for alternating sitting postures; up to 45° backwards for rest and possibly 5° forward for a transfer. The tilt function is easy to adjust to the desired individual positions and to be operated with the foot or optionally with manual operation. 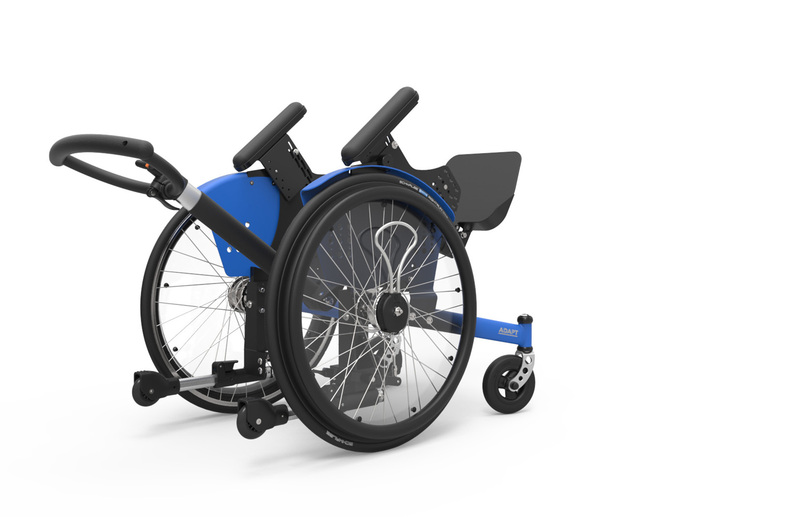 The Adapt has been designed to offer exceptional adjustability and is provided with our revolutional tilt system! The ideal positioning of the shoulder axle in relation to the rear wheel. The mechanism is especially designed so that the pivot is close to the balance point. Tilting without change of center of gravity. This tilting function allows the smooth change of the user´s position and grants an effective relaxation of spine and pelvis. 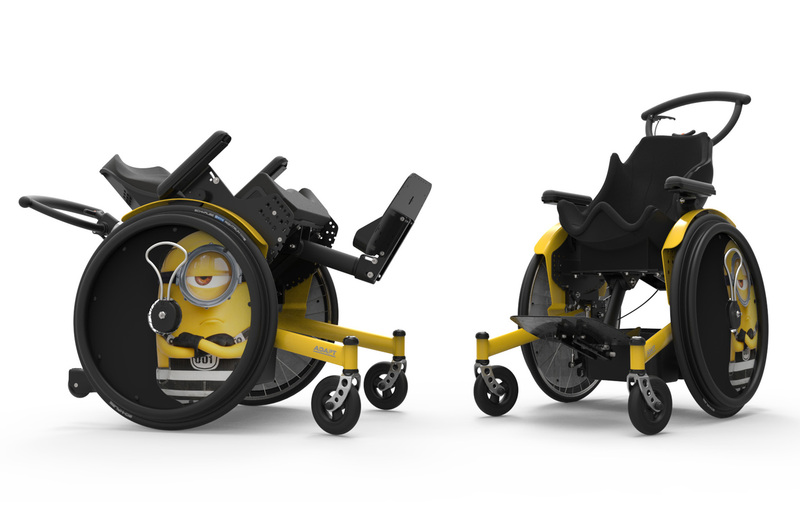 The Adapt is a practical indoor and outdoor wheelchair and ideal for children and young adults who want to drive themselves. 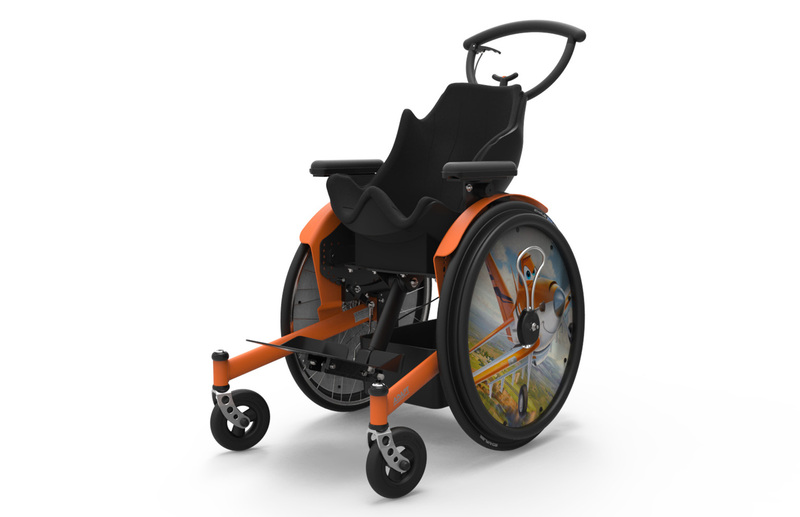 One of the few available (seat shell base) wheelchairs suitable for self-drive! Suitable for children and adolescents (3 sizes with different frame size). Handy! Black plastic luggage compartment for under the seat unit. Different leg support options available. 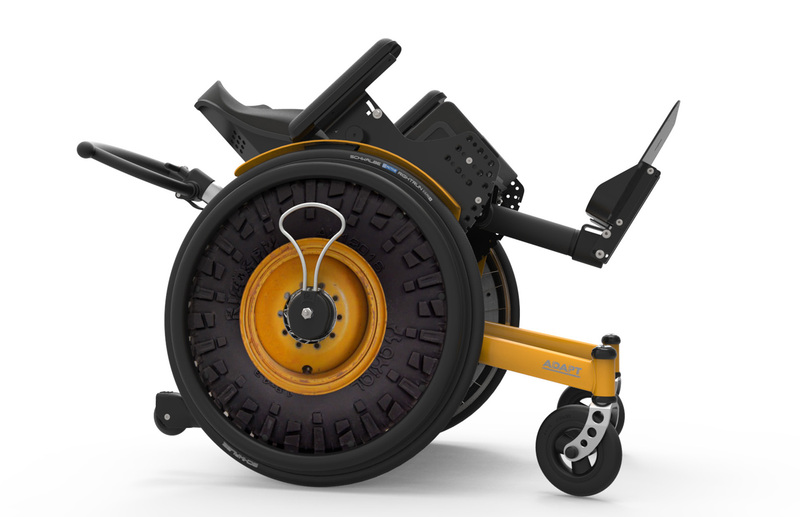 Maximum user weight for the Adapt is 75kg. Der Rahmen kann beispielsweise in folgenden Farben ausgeführt werden. Ist Ihre Farbe nicht aufgeführt? Dann können Sie die gewünschten RAL-Farbe, uns anzugeben. Matte Farben sind auch möglich! Kombi-Bremse für Benutzer und Begleitperson / Handbedienung. Kombi-Bremse für Benutzer / Handbedienung und Begleitperson Fußbedient. Der robuste Schiebebügel lässt sich einfach auf die für den Begleiter gewünschte, ergonomisch richtige Höhe einstellen. Sie lösen die Verschlussnocke und stellen die richtige Höhe ein; danach drehen Sie die Verschlussnocke wieder fest. Der Schiebegriff für die Hände besteht aus bequemem PU-Material. Es gibt zwei Möglichkeiten zur Verfügung. Schiebegriff (fest) und auch in Winkel verstellbar. Das gesamte Rückenteil, einschließlich Rückenlehne/Kopfstütze und Schiebebügel kann mittels Schnellverschluss (Option) abnehmbar ausgeführt werden.